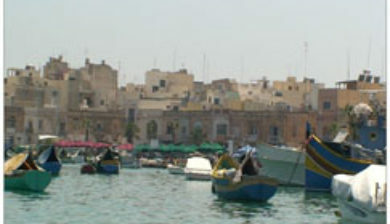 (/mɑrsɑʃˈlɔk/) is a traditional fishing village in the South Eastern Region of Malta, with a population of 3,534 as of March 2014. 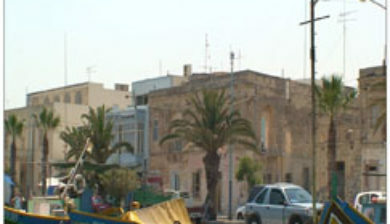 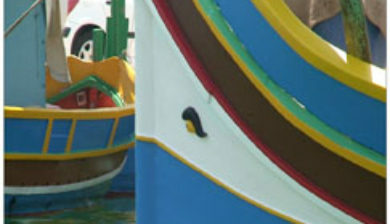 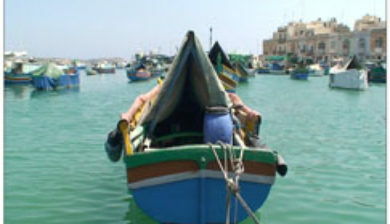 The village’s name comes from marsa, which means “port” and xlokk, which is the local name for south east. 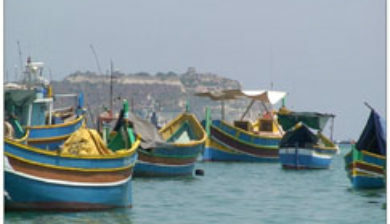 The word is related to the name for the dry sirocco wind that blows from the Sahara, comparable to the equivalent Catalan word, “xaloc”. 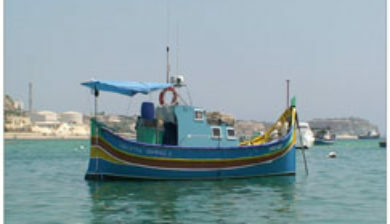 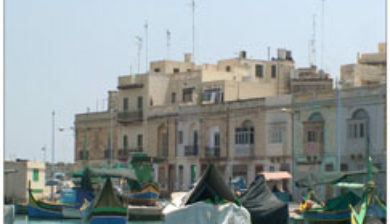 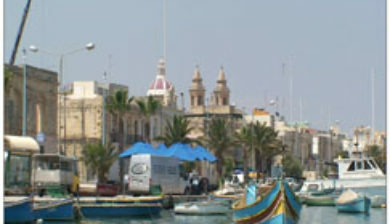 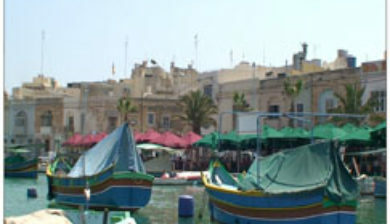 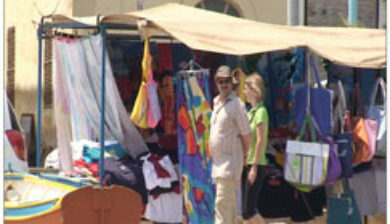 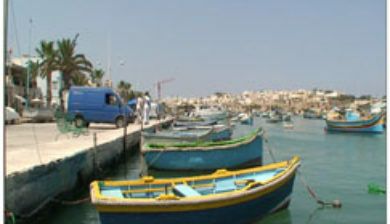 The village is known for the Marsaxlokk Market, a large market which takes place around the whole village on Sundays and tourist market all days during the week. 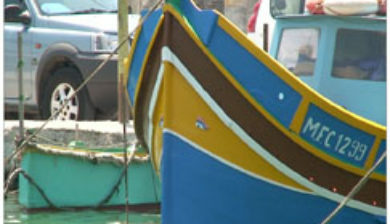 The inhabitants of the village are called the Xlukkajri and are historically fishermen.